Free Shipping Included! 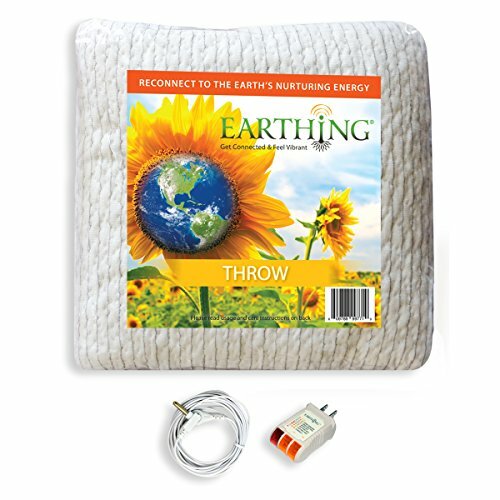 Save 1% on the Earthing Throw Kit by Earthing at Doctor Joe Says. MPN: THK. Hurry! Limited time offer. Offer valid only while supplies last. The throw is a plush cotton conductive semi-blanket/semi-sheet. Conductive Earthing throw (40 inch x 65 inch ) with 15-foot (4.57 m) Earthing cord. The throw is a plush cotton conductive semi-blanket/semi-sheet. Conductive Earthing throw (40 inch x 65 inch ) with 15-foot (4.57 m) Earthing cord. Outlet checker. Complimentary Earthing book.